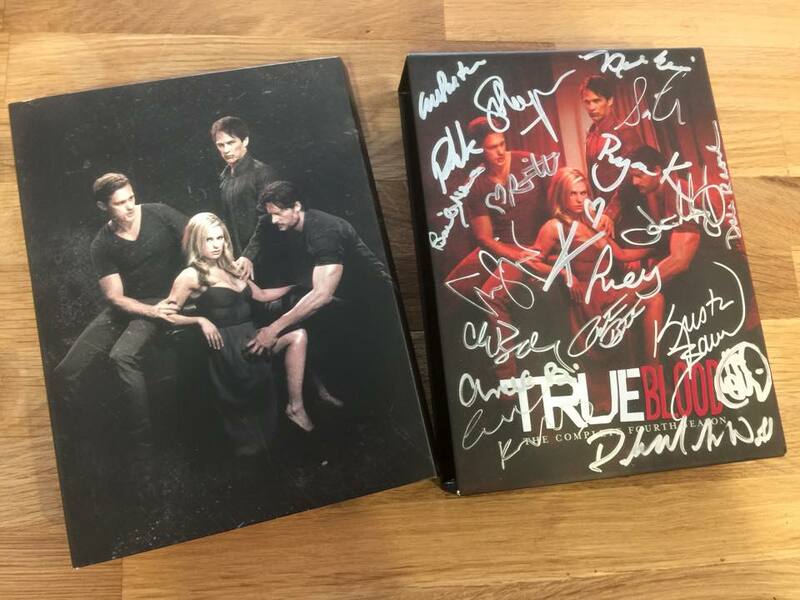 EJ Scott, boyfriend of Deborah Ann Woll has a terrific, once in a lifetime, True Blood DVD being raffled off on Crowdrise RIGHT NOW! Don’t miss out! Next year, in 2016 EJ is running a marathon blindfolded on each continent in the world hoping to raise $500,000 for multiple charities including Choroideremia, ALS, Alzheimer’s, Parkinson’s, Autism, Rett Syndrome, North Shore Animal League, Jamie Oliver’s Food Revolution, mental health, Tourettes, Cancer. Please feel free to browse the charities chosen and start giving right away. The money raised for the raffle will go to the cost of the marathons. This Season 4 DVD is signed by almost every person ever connected with True Blood and you’ll probably never get another chance for such a fabulous collector’s item to be yours. 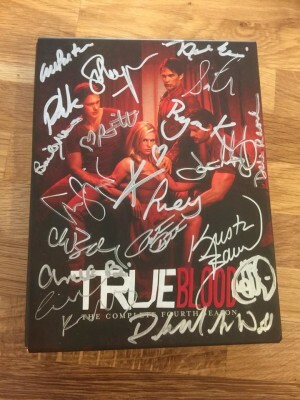 MORE INFORMATION ABOUT THIS SIGNED ‪#‎TRUEBLOOD‬ DVD!! Deborah will personalize for the winner; any name they want. 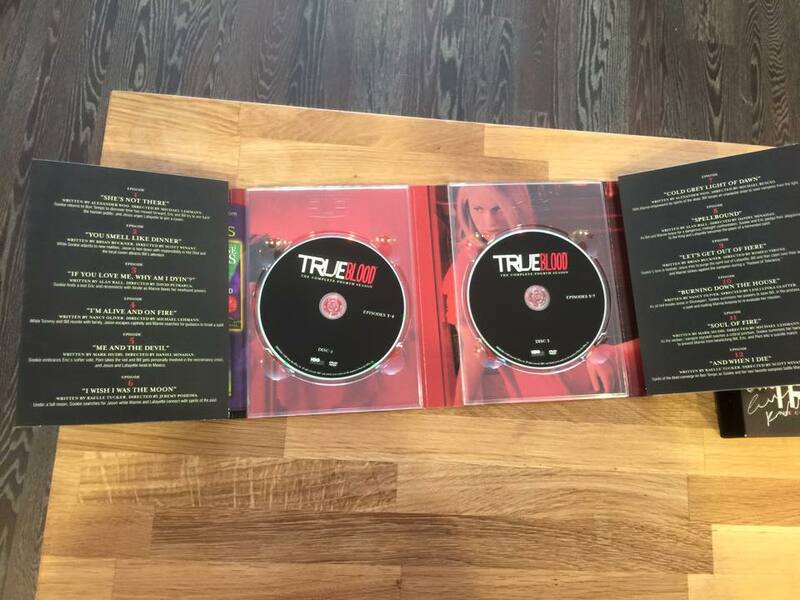 The winner will be chosen at random by DEBORAH on video and posted on Facebook and Twitter. We will write all the entries names on tickets and put them in a hat or a bowl, mix them up and choose at random. WORLDWIDE SHIPPING!! We will ship for FREE. Please enter often we will choose a winner September 13, 2015. 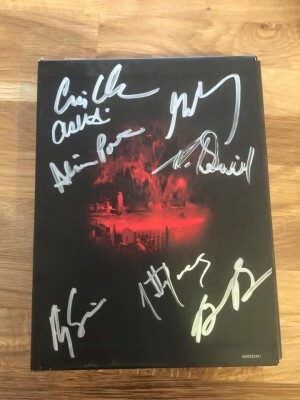 28 Cast and crew SIGNATURES!!!! Please also tell your friends and family on social media to help EJ get the word out.